Oilcloth is a durable, fray-resistant fabric that’s easy to clean. This shiny waterproof fabric is made of vinyl with a cotton mesh backing. It’s uses range from tote bags and aprons to tablecloths and placemats. Here are some tips for sewing oilcloth fabric. Oilcloth fabric is easy to cut and will not fray. The edges don’t need to be finished, but if you prefer you can cut with pinking shears instead of scissors or serge the edges for a more decorative look. Pinning oilcloth will leave permanent holes in the fabric. If you do want to pin oilcloth, only pin in the seam allowances so the holes will not be noticeable on the outside. 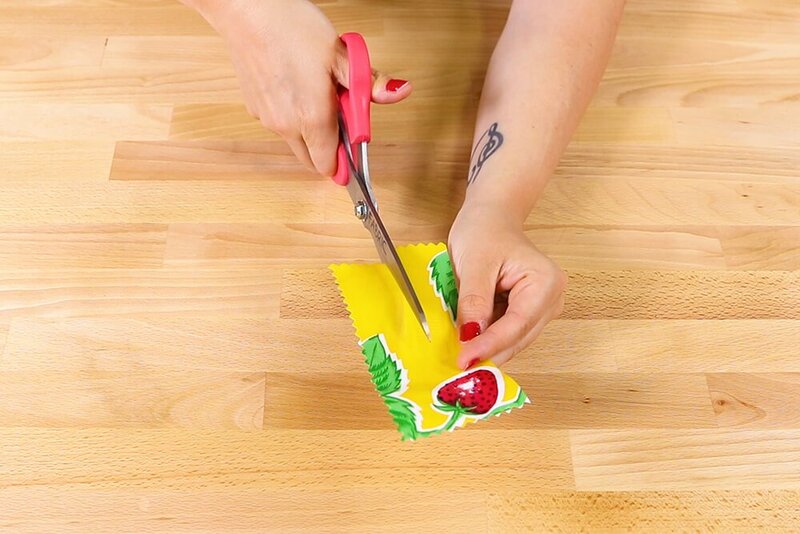 Instead of pins, you may want to use clips so you don’t make holes in the fabric. 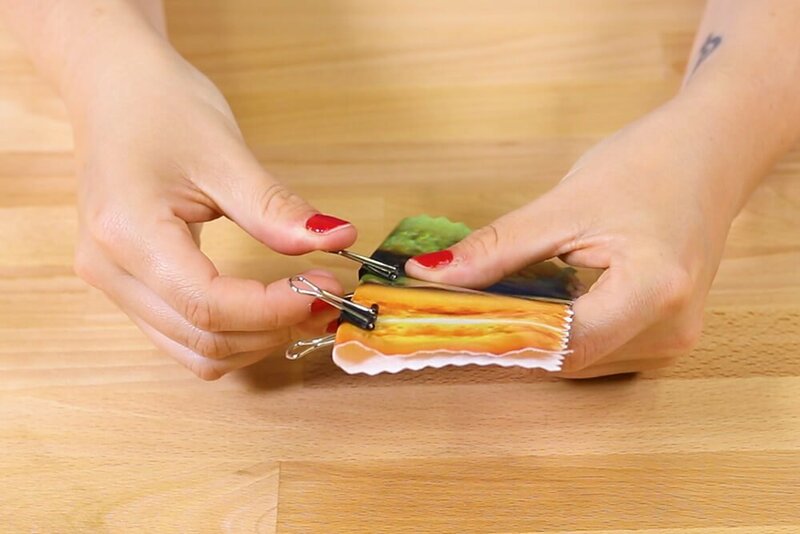 You can use laundry pins, binder clips, or paper clips. Oilcloth can easily be wiped clean with a cloth and warm, soapy water. Machine washing is not recommended. It’s pretty easy to work with oilcloth when sewing, but it can be pretty slippery so use a teflon or roller presser foot if you have one. 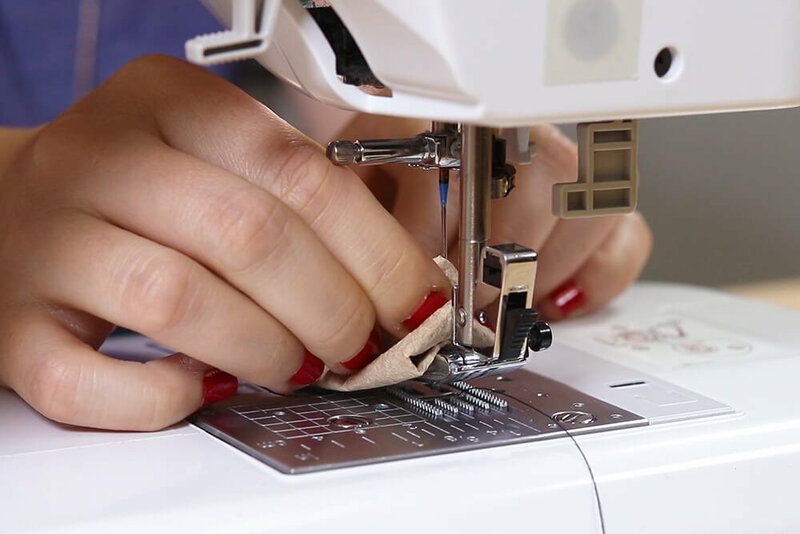 A regular sewing foot will also work, but it may help to put masking tape on the foot to prevent slippage. You’ll want to use a medium to heavy needle like a size 16 denim needle. For curves, a regular stitch length is fine, but you’ll want a longer stitch length for straight edges. This prevents the fabric from tearing because of too many holes in close proximity of each other. 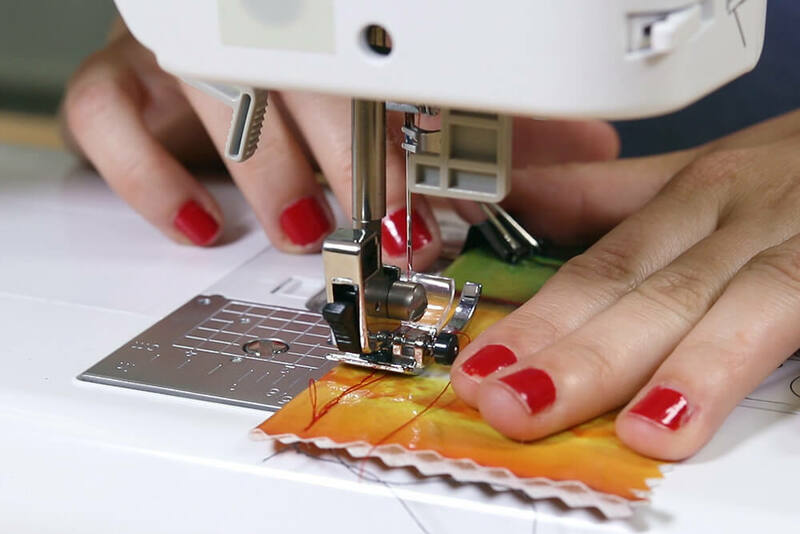 If you do a lot of sewing with oilcloth, you’ll probably want to clean the needle off every so often because the fabric can leave a sticky residue on the needle. Oilcloth cannot be ironed. You can press it down with your fingers to crease it, or use something heavy like big books to make creases overnight. If your oilcloth has been folded and you want to remove creases, lay it flat in a warm place to make it more pliable and press it with your hands. 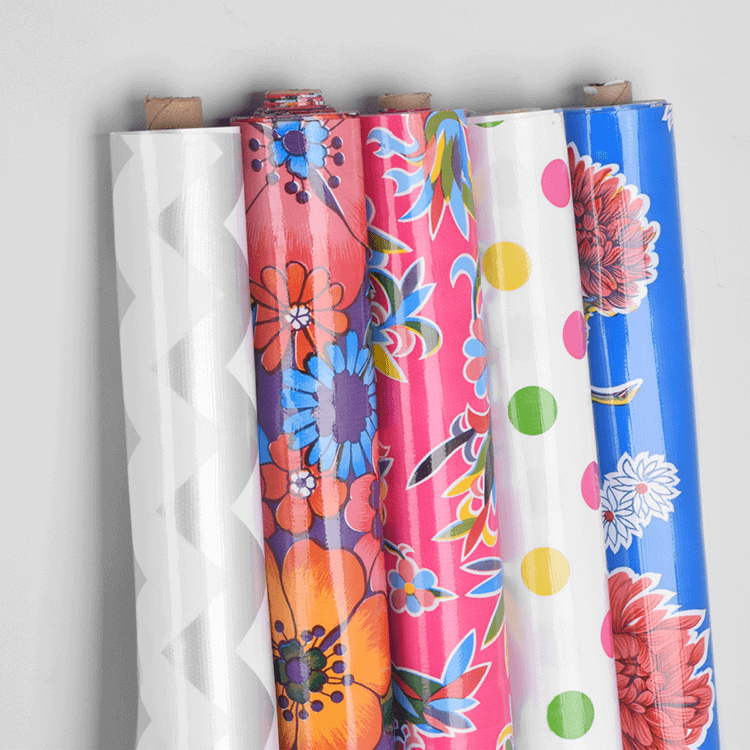 Click here to shop oilcloth fabric. Does the tension need to be adjusted for sewing oilcloth? BEST ANSWER: Possibly. 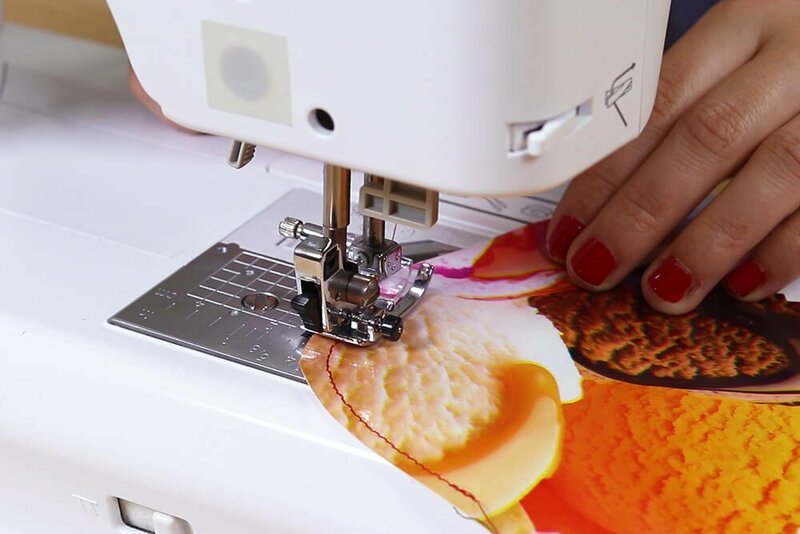 Test the tension on a scrap that's folding into the same number of layers as what you are trying to sew. Can regular polyester thread be used to sew a raincoat made with oilcloth ? BEST ANSWER: Yes, polyester thread works well. How to get the vinyl smell out of oilcloth/I would like to make reusable sandwhich bags? BEST ANSWER: Oilcloth is not food safe, so we don't recommend it for situations where it will come in direct contact with food.